This special edition of Salon Joussour for the Oriental Landscapes festival, brings together Rembrandt Frerichs Trio with one of the great Persian classical music singer from Iran Mohammad Motamedi. He is not only a great singer but also a great improviser. In 2013 he won the ‘Prix France Musique’. He sang in the ensemble of Hossein Alizadeh and is a celebrated soloist worldwide. 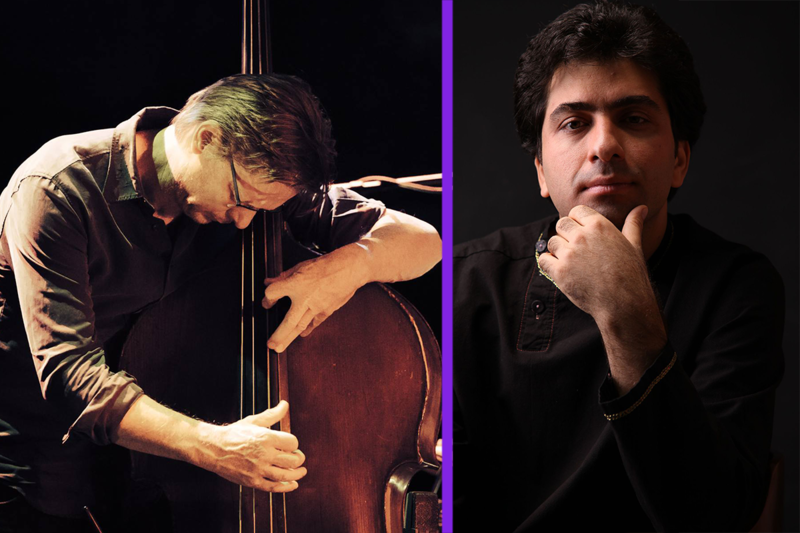 The Rembrandt Frerichs trio, with bassist Tony Overwater and drummer Vinsent Planjer, has played with great names from Persian music before. Kayhan Kalhor and Hossein Alizadeh have been guests several times. With the collaboration with Mohammad Motamedi their long-cherished wish is fulfilled to also work with an Iranian vocalist. The trio makes use of historical instruments such as the fortepiano and the Violone which seamlessly match the Persian music.